Chacon will join her sister, Alaina, on FSU’s beach volleyball team for the spring of 2019. She is joined by teammate Payton Caffrey. Chacon saw action in three matches in her first season competing for Florida State … She helped the Seminoles pick up two three-set wins over TCU (8/31) at the Colorado State Tournament and against Florida A&M (9/8) in Tallahassee … Took three swings in FSU’s five-set match against Colorado State (9/1) … Saw a season-high two digs against Florida A&M. One of PrepVolleyball’s Top Players in 2017, outside hitter Morgan Chacon comes to Tallahassee from Crown Point, Indiana. She came to campus in the spring of 2018, and joins her sister Alaina, a freshman on the beach volleyball team. As a junior at Crown Point High School, Chacon earned First Team All-State honors, was named the MVP of the Duneland Athletic Conference, and secured a spot on the 2016 AVCA Phenom List. She capped off her illustrious high school campaign with 470 kills, 284 digs, 75 total blocks, and 41 aces in her final season, while leading Crown Point to a Class 4A runner-up finish. She was named a 2017 USAV All-American and won the Post-Tribune Girls Volleyball Player of the Year, the same year she was named to the All-Tournament Team at the USA Girls’ 18s Junior National Championships, leading her team to a third place finish. Aside from volleyball, Chacon has also participated in competitive cheerleading, softball, and gymnastics. 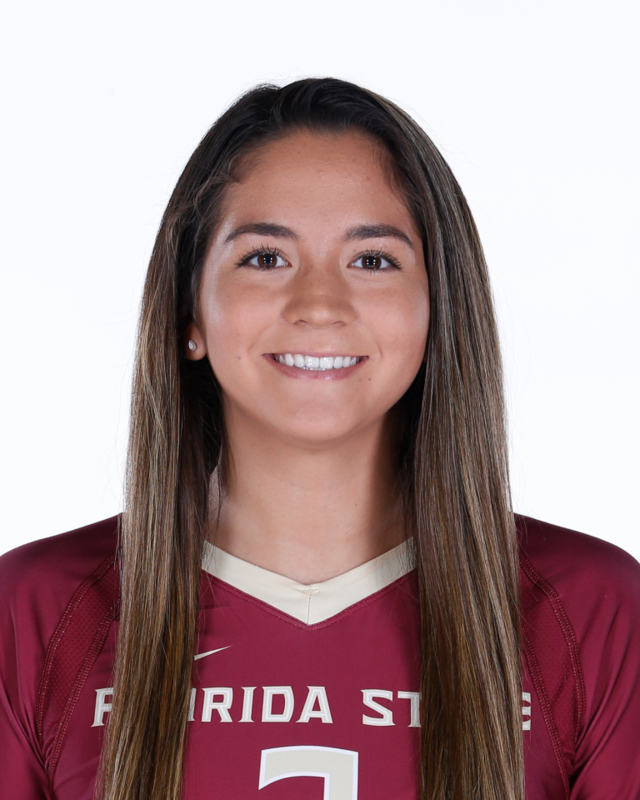 Born April 8 … Daugher of Brandi and Luis Chacon … Sister of Alaina and Savana Chacon … Majoring in biology … Her sister, Alaina, is on the beach volleyball team at FSU … All three sisters played volleyball for Crown Point High School.